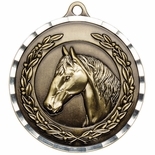 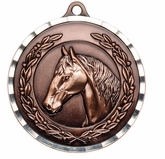 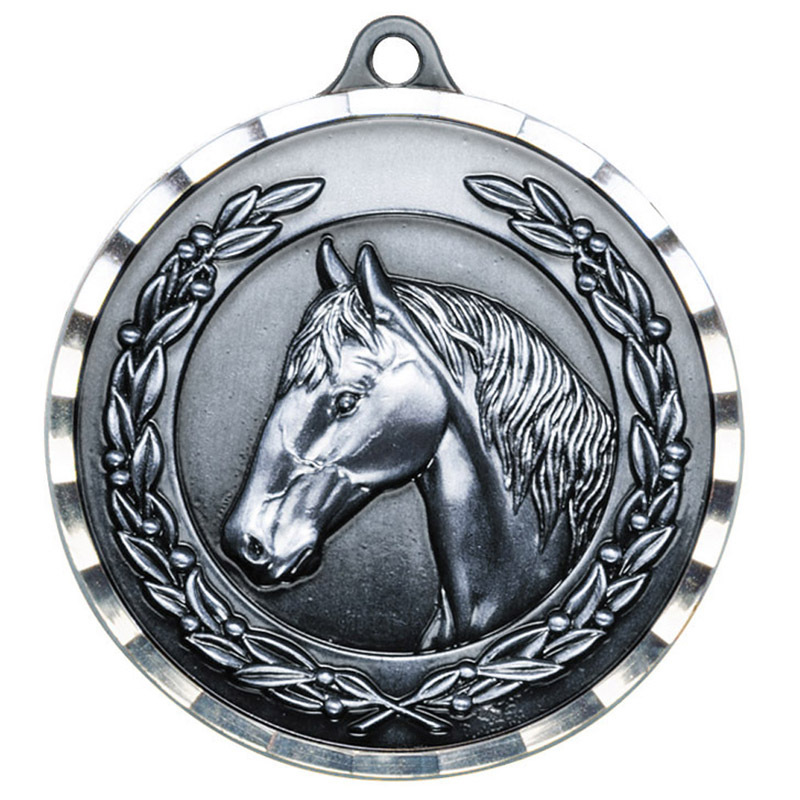 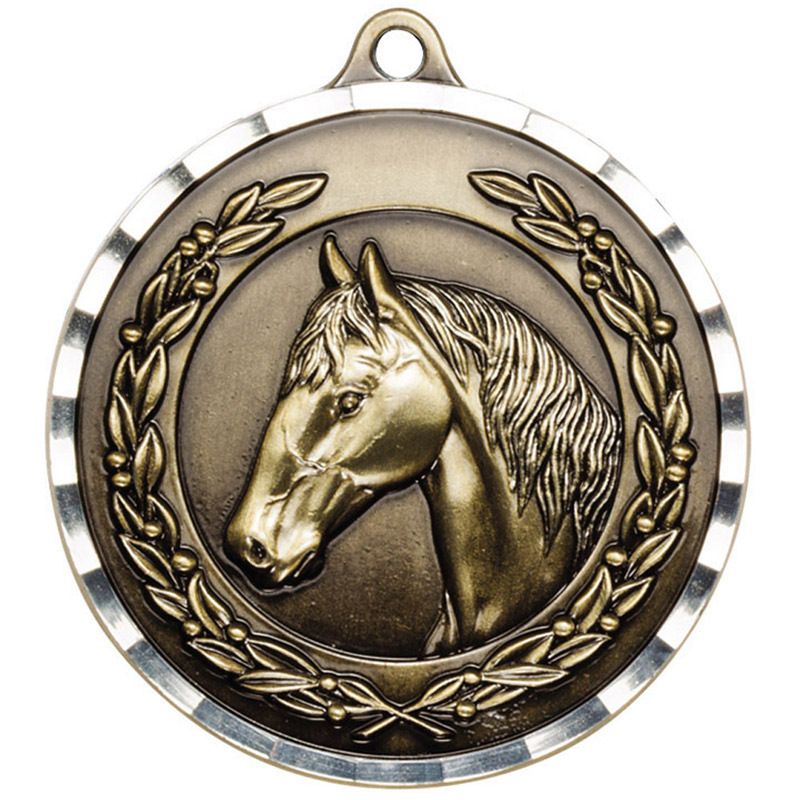 Item Description: Horse medal antique finish brass with bright diamond engraved silver border. Medal size is 2 inch diameter. 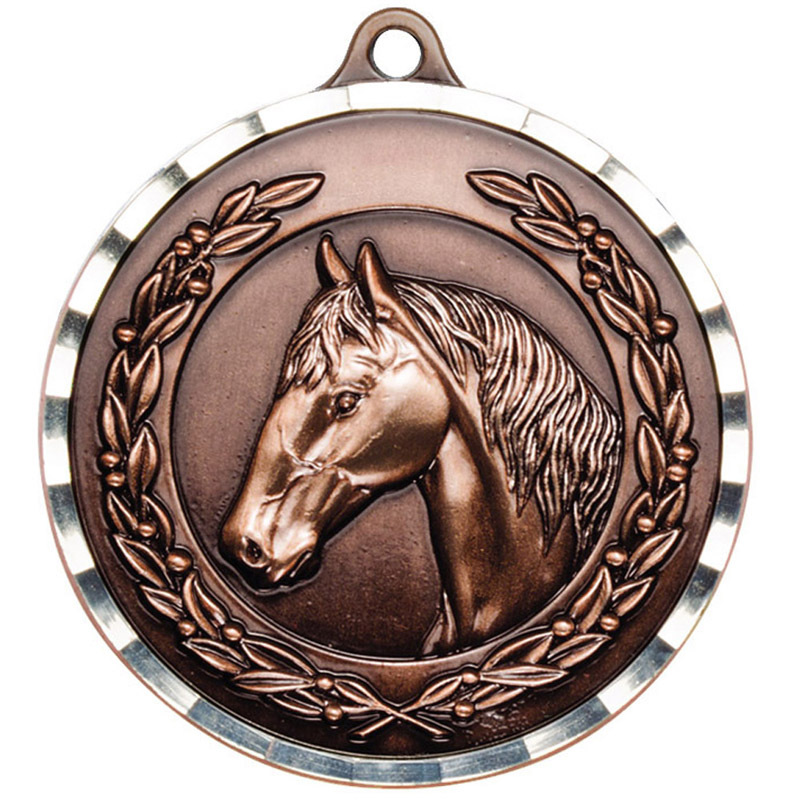 Available in gold, silver or bronze color.